Boca insurance company Seeman Holtz Property and Casualty continues to grow through acquisition. Seeman Holtz Property & Casualty announced a new acquisition last week as the Boca insurance company continues to grow. Central Insurance Advisors, LLC, headquartered in Miami, Florida, will become part of Seeman Holtz Property & Casualty, the Boca insurance company announced. With the acquisition, Seeman Holtz Property & Casualty will expand its South Florida base. Central Insurance Advisors’ Javier Torres has serviced families and business owners throughout Florida for 30 years. “Central Insurance Advisors has an excellent blend of personal and commercial clients and fits very well with our expansion into Miami,” Marshal Seeman, president of Seeman Holtz Property and Casualty stated. Seeman and Eric Holtz started Seeman Holtz in 1998 to help people with pre- and post-retirement planning. Since then, the Seeman Holtz family of companies has expanded to include coverage for home, life, auto, boat, private client and business insurance. And it continues to expand through acquisitions of high quality companies around the country. 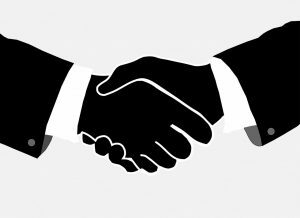 This year has seen the Boca insurance company announce acquisitions in the South, Southwest and Midwest. “We are always looking for quality with our acquisitions. Central Insurance is a perfect fit for us. We look forward to bringing our value-added client service campaign to our new clients,” Holtz, the executive vice president and chief marketing officer, said. The Seeman Holtz family of companies has been growing and continues to look for acquisitions of high-quality agencies around the country to acquire. The company announced the acquisitions of 24 companies in 2017. This year, Seeman Holtz has announced the acquisitions of Xponent Employer Solutions of Scottsdale, Arizona; Fifth Avenue Healthcare Services of Tulsa; Missouri-based Tri-Star of Sikeston, Inc. DBA Self Insurance; the Federal Employee Insurance business of Federal Employee Services, LLC, of Edmond, Oklahoma; and Elton Porter Insurance Agency of Houston; the book of business from Affiliated Insurance Managers, Inc., headquartered in Morgan City, Louisiana.